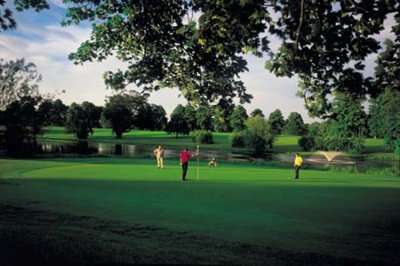 Situated in beautiful South Wales is the brilliant, four-star St. Pierre Marriott Hotel and Country Club. 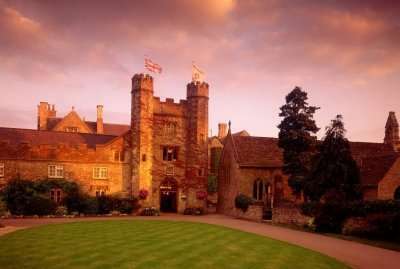 The hotel is an elegant 14th century manor and boasts stunning views across 400 acres of beautiful parkland as well as two golf courses, a fitness club, a spa and two fantastic onsite restaurants. St. Pierre Country Club boasts two excellent courses which are onsite of the hotel. The Championship Old Course was designed around an 11-acre lake lined with century-old trees and presents a stern but beautiful test of golf for those of all abilities. The Mathern Course boasts stunning views and has had extensive remodelling to make it the brilliant course that it is today. Whilst you are here, make sure to take advantage of the great spa facilities where you can find a range of different health and beauty treatments as well as an indoor pool and a steam room to relax within. The hotel also boasts a great fitness centre where you can find extensive gym equipment as well as complimentary fitness classes. With so much to do within the hotel, you may not want to leave but in the local area, you can find Chepstow racecourse, upscale shopping and entertainment at Cribbs Causeway and Caldicot Castle. With lots to do, see and enjoy both within the hotel’s grounds and in the local area, look no further than the St. Pierre Marriott Hotel and Country Club for a great golf break in South Wales. GROUP OFFER - Receive 1 free in 12. Please call for further details. T&C's apply. The St. Pierre Marriott Hotel and Country Club boasts a beautiful location surrounded by 400 acres of delightful parkland in the Wye Valley. This 14th century manor home is the perfect choice for your next golf escape with wonderful service, facilities and golf. All of the rooms are beautifully designed and feature pillowtop bedding, high-speed internet and a flat-screen TV. 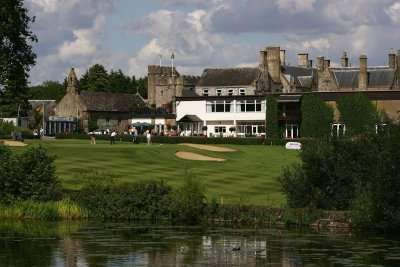 Some of the rooms offer views of the hotel’s courtyard and others look out over the lake or the golf club. If you are looking to upgrade your room to a suite, please give us a call as the well-appointed suites here are lovely. Due to the location of the hotel, you can visit local towns in order to find somewhere interesting to eat and drink but there are some excellent drinking and dining options situated within the hotel. The Cast Iron Bar and Grill is a great British grill which serves old-school classics as well as globally-inspired favourites and they serve a great collection of craft beers. Morgan’s Restaurant serves delicious dishes which have been created using locally sourced ingredients and is open over the weekend for breakfast and dinner. Finally, Trophy Sports Bar is the perfect to watch sports and enjoy handheld classics and drinks from the varied menu. Whether you are travelling with a group of friends, a partner or your family, the St. Pierre Marriott Hotel and Country Club is an excellent four-star hotel which offers everything you could need for a great golf break to South Wales.